The single ‘Something Has Changed’ is a pop song underpinned by a laid back, classic bluesy riff. From a slinky verse, the vocals build into a melodic powerful chorus, catchy and to the point with dark sultry undertones. 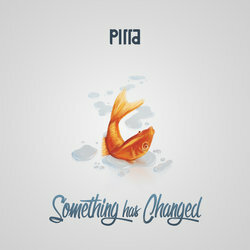 Pirra are no strangers to performing live and collectively have amassed over 200 shows since 2012. Pirra were handpicked to showcase at APRA Song Summit. They’ve also performed on the festival scene with appearances at Woodford Folk Festival and Sydney Opera House’s Homeground Festival. A pop song underpinned by a laid back, classic bluesy riff. From a slinky verse, the vocals build into a melodic powerful chorus, catchy and to the point with dark sultry undertones.